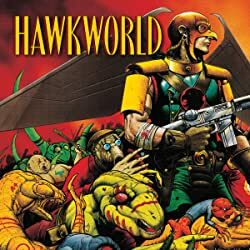 The fresh look at the Hawks' past continues! 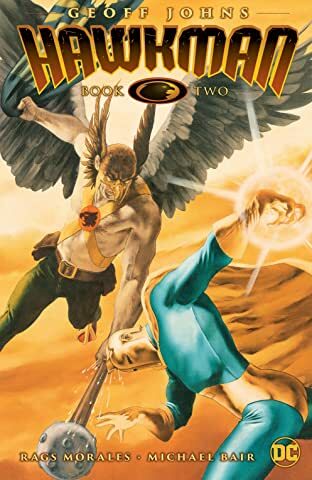 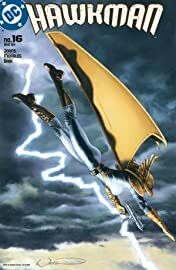 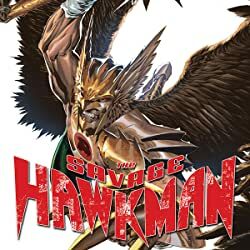 Shayera, the space cop from Thanagar once known as Hawkwoman, ventures to St. Roch to discover the truth about her former partner. 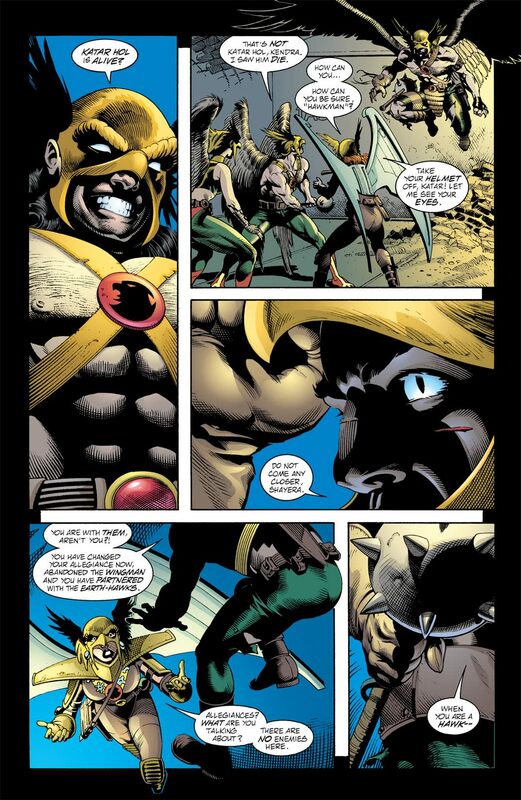 But Hawkgirl isn't exactly happy to see her...or to learn about the customary Thanagarian greeting! 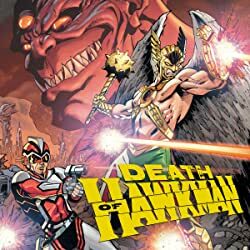 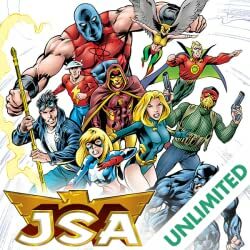 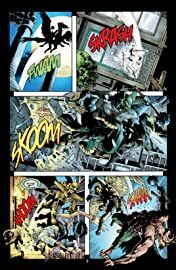 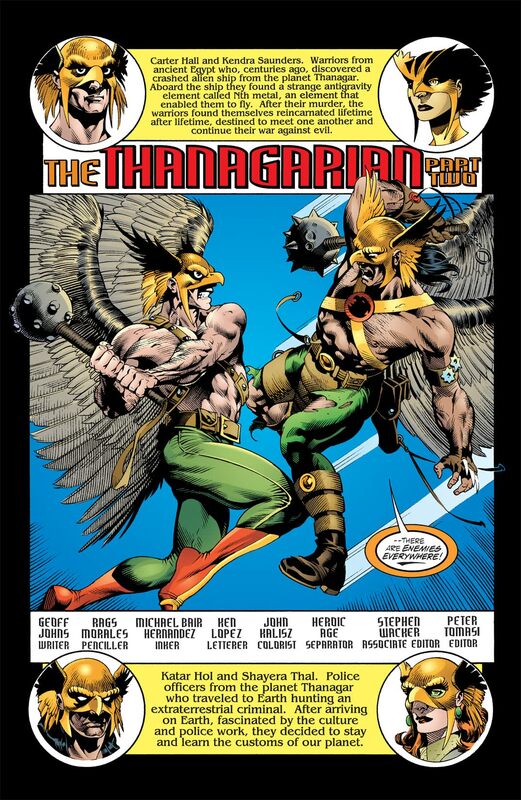 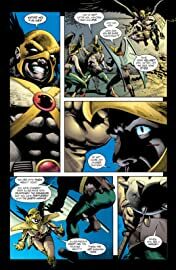 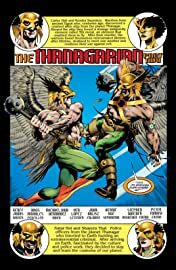 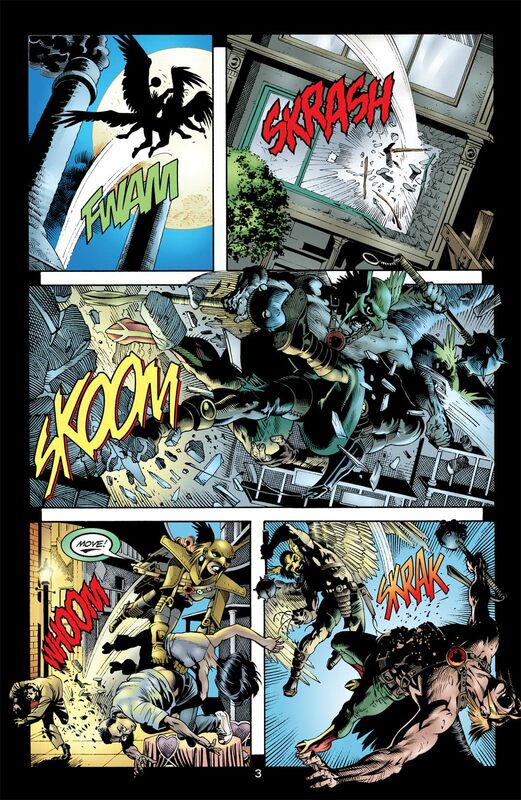 Plus, Hawkman reveals how he copes with loss from life to life.